Posted February 9, 2016 by Josette Farrell in News. Excellence isn’t expensive, it’s priceless and for one lucky couple it’s free. 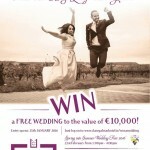 How would you like to win a free wedding to the value of €10,000. 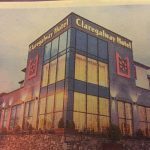 The Claregalway Hotel is going to give one lucky couple a free wedding day. 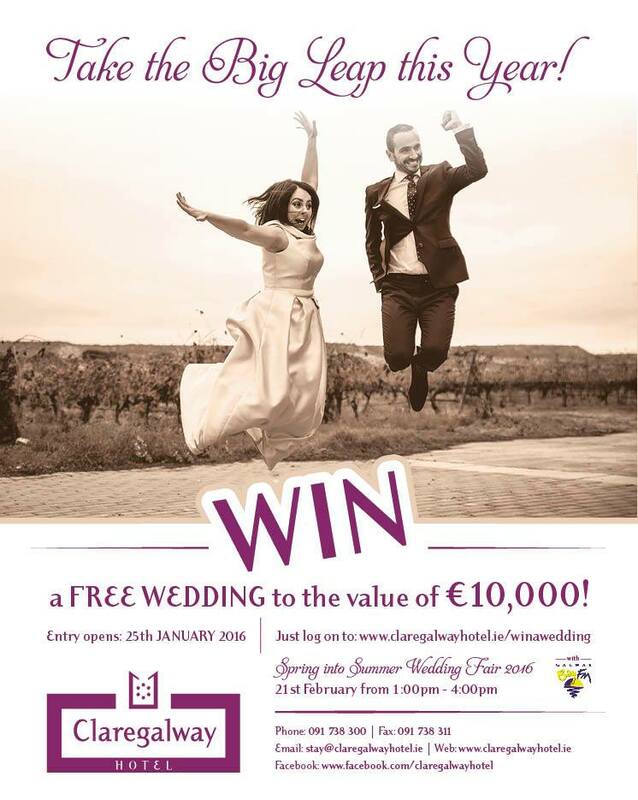 Until February 14th you can enter their competition to win a free wedding. 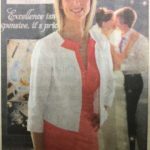 You can win your wedding day in a Hotel that has reputation for delivering the very best in service excellence. The award winning Claregalway Hotel is the perfect wedding venue for you both if looking for something that is definitely different. Tune into the Keith Finnegan Show on Galway Bay FM for further details on how to win this fantastic prize. Set on the banks of the Clare River, in the historic village of Claregalway which boasts the beautiful Claregalway Castle and picturesque Claregalway Abbey. 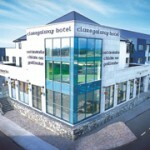 The Claregalway Hotel is contemporary styled venue, delivering impressive value, a commitment to excellence, a superb dining experience and that unique personal touch, that meets and exceeds all your needs on this very special day. The hotel can comfortably host wedding banquets up to 280 guests in our intimate ballroom. 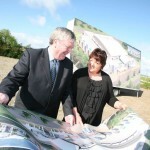 Nora Gill, Director of Claregalway Hotel is your dedicated Wedding Co-ordinator. She personally oversees each wedding and guarantees that each day is personalized to you both, with many moments of magic for you, your families and friends to enjoy and treasure for years to come. Nora is supported by a Hospitality Team with a wealth of professional experience and skills, who are renowned for their impeccable attention to detail making this Hotel the wedding venue, of choice, in the west of Ireland. We want your day to be distinctive so that it will reflect both your personalities. We will design a wedding bundle that is straight forward as classic menus, new world wines, room hire and welcome receptions to more elegant bundles that cover every need from car hire to entertainment, all of which is further enhanced with the excellence, assistance and knowledge that Nora is happy to share with you. Your personalised requirements are then priced accordingly to reflect your needs. A registered venue for civil ceremonies, the Claregalway Hotel can cater for both large and intimate weddings. With extensive experience hosting both civil ceremonies and blessings we can help and guide you through all the steps involved in planning your special day. Tune into the Keith Finnegan Show on Galway Bay FM next for further detaisl on how to win this fantastic prize.